2 Port Aransas Vacation Rentals. Port Aransas, Texas is located on the northern part of Mustang Island on the Gulf of Mexico. This amazing area offers a great selection of rental villas, condo rentals and vacation homes direct by owner at a great value. Port Aransas is a ideal place for the family to enjoy a fun-filled vacation or it�s the perfect retreat for couples. This rental boasts: 4 bedrooms, 3 baths, is a Condo located Near Beach! This rental boasts: 4 bedrooms, 3 baths, is a Condo / Townhouse located Near Beach! The Gulf Waters of Port Aransas will provide you with a great selection of water activities to enjoy while staying at your vacation rental. Action packed water activities for you to enjoy include: swimming, snorkeling, scuba diving, windsurfing, parasailing, jet skiing, surfing and much more. The fishing is world class at Port Arkansas and is considered the �Fishing Capital of Texas�. The bays, channels, jetty�s and piers offer great fishing opportunities. You can also enjoy fly fishing or deep sea excursions off shore. There is a large selection experience guides and charter boats if you want to learn some of the secret spots in the area. Port Aransas is a great place for those who enjoy the nature and wildlife. The island is home to the largest bird count of the Gulf Coast, which includes over 500 species of birds. You can visit the Wetland Park, Joan & Scott Holt Paradise Pond, Leona Belle Turnbull Birding Center and South Jetty to observe the abundant bird species. Port Aransas is home to natural wetlands, inlets, miles of beaches & dunes, rock jetties and piers that will allow you to enjoy the views of wildlife. You can enjoy island style shopping during the duration of your vacation at Port Aransas. There is a large variety of unique shops, boutiques and galleries, the provides you with great merchandise at great values. The shops offer clothes, jewelry, home decorations and gifts for your family & friends back home. To get a taste of island shopping, stroll the streets of Port Aransas. The food and dining options in Port Aransas, Texas are amazing. The island is known for some of the best restaurants throughout the Texas Gulf Coast. The world class chefs are extremely skilled in all styles of cooking to suit your taste. Enjoy the fresh seafood, steaks and other great coast cuisine dinners during your vacation. If your not ready to head back to the vacation rental after your dining experience, there are a variety of activities for you to enjoy after dark. You can enjoy a walk on the beach with your spouse or hit one of the clubs or bars in the area to enjoy some of the island�s tropical nightlife. Port Aransas, Texas Vacation Rentals is a great place to enjoy your next dream vacation. If your looking for an island vacation in the United States, look no further. 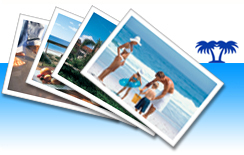 You can find a great selection of vacation rentals by owner at ivacationonline.com at great values and book online direct by owner. The online booking system will allow you to have your next dream vacation booked in a matter of minutes. Start your search now to save on your next vacation!